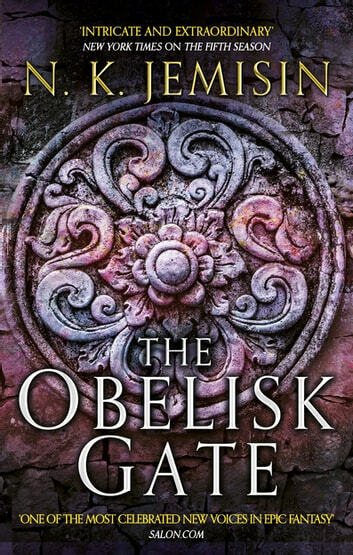 The Broken Earth trilogy begins with***The Fifth Season***, continues in ***The Obelisk Gate*and concludes with The Stone Sky - out now. Interesting premise. Not quite as good as the previous series but her world building is fantastic. Finished the trilogy in a couple of weeks. 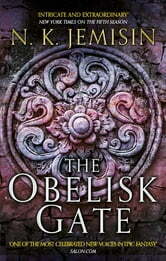 The second book of the trilogy takes you deeper, higher, further than the first - into the realm of the subatomic spaces. Our understanding of the characters develops and the bigger picture looks tantalizingly. Bring on the third book. As with The Fifth Season, I found this book (well, eBook) hard to put down. I am now looking forward to the followup, The Stone Sky, with great anticipation. The continuing adventures of the characters, and the addition of a few new ones, kept me going long into the night and I probably would have missed my metro stop if it were not he last stop on the line. I preferred the "multiple story arcs at the same time that are in fact the same story" of the first book but still enjoyed visiting other parts of this fantastic world.